Unstoppable heat-beat pioneers NO ZU unleash a remix 12” of tracks from 2016 album Afterlife, reworked by 80s punk-funk icons A Certain Ratio and Jonny Sender of Konk, as well as the band themselves. In 2015 NO ZU had the lead track on Cut Copy’s compilation of Australian dance music, Oceans Apart. In 2016 second album Afterlife was released to rave reviews from Pitchfork, The Vinyl Factory, Test Pressing and elsewhere. They picked up KEXP song of the day, KCRW premiered one of their videos, and in Australia the band hosted a month of Triple J show Mix Up. The band toured Europe twice, playing Transmusicales Festival in Rennes in December to a huge crowd, televised live on FranceTV. They’re also set to return this May for Primavera Festival and other shows. In Australia the band ruled at Golden Plains and WOMAD, and have burned up the summer at Lost Paradise, Fremantle Festival, National Gallery of Victoria and elsewhere. They also found time to record a cameo on Melbourne rising star Tornado Wallace’s debut album Lonely Planet on Running Back Records. A new remix of Spirit Beat (from last year's amazing Afterlife album) by Jonny Sender from NYC 80s punk funk heroes Konk. 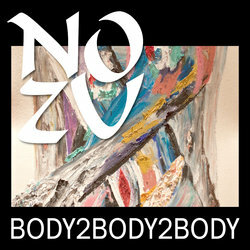 From the forthcoming BODY2BODY2BODY 12" (out May 5) featuring remixes by A Certain Ratio, Jonny Sender and NO ZU themselves.